Rashawnda is a truly caring, experienced, and firm presence in my life, who helps me help myself. We've come so far together, and I'm very grateful for the time and support she gives me! I have been working with Rashawnda on and off for almost a year now. She is smart. She can be confronting but always in a gentle, respectful and sensitive way. To me, this is the key to her value as a counsellor. By her encouraging me to face what is uncomfortable, I can make progress. To have Rashawnda supporting me through these challenges is like having a secret weapon for the work I do on myself. Her skill as a counsellor is critical to my health and wellbeing. Rashawnda is a perfect balance of helpful and fun to talk to. I’d recommend her 100%. Rashawnda is a very good listener and she is responsive to my needs. She makes me feel calm and never judges me for my actions. She helps put things in perspective and gives me strategies to contest my anxiety. It is clear she has a lot of experience dealing with people in my situation. Rashawnda is very empathetic and I always feel more relaxed after my sessions with her. Meeting Rashawnda has been one of the most wonderful and liberating experiences of my life. I'm so grateful for her empathy and her active listening. She has helped me make great strides emotionally, towards feeling empowered to know how to respond to what I was going through. Thank you, Rashawnda! Rashawnda is very supportive and flexible and always encourages me to be my best self. Rashawnda reminds me when I forgot what I am capable of and our discussions and the accountability provided helps me maintain a balanced perspective. Being connected with Rashawnda has been a very good experience and has restored my faith in therapy. I plan to continue having sessions with her for many more years to come! Rashawnda has proven to to be a great boon to me. She is warm and caring, but also seems to get my grim sense of humor and cynicism and deals with it well. She's insightful and very pleasant to work with. She's been great. Answers quickly and really listens and cares about what you need and how she can help you better. Rashawnda is warm and attentive. Has good tips and tools for me but also gives me a sense of unconditional emotional support, like a good friend would provide, all while remaining professional of course. She's very nice and remembers details. She helps you to set goals and to look at things from different perspectives. 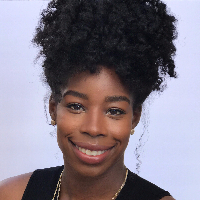 Rashawnda is an absolutely amazing counsellor, she really listened to our unique situation and was perfectly capability to provide unique , bespoke and tailored advise. I will always be recommending her to friends and family! Rashawnda, is well educated and experienced therapist. She is a great listener/speaker and very helpful with my issues. Rashawnda is insightful and encouraging. She really seems to listen and care and she is very responsive. For someone who enjoys being comfortable with their counselor, Rashawnda is the perfect counselor. She is so natural and open minded and I personally find that very comforting. Excellent job. I reached out for counseling at a time in my life when I felt like I suddenly had so much on my plate at once. Although I was very hesitant and apprehensive at first, being able to speak to Rashawnda about the various parts of my life has given me the clarity and confidence to face all the challenges without feeling overwhelmed and overcome. Thank you Rashawnda for being so uplifting, kind and compassionate in your approach! She is the best! She takes time to listen, hear and ask insightful questions to help you get to the root of issues. Rashawnda is brilliant. She talks about my anxieties in a clear manner so that I could understand it. She helps me a lot. Rashawnda allowed me to open up about how I am feeling about my break up and asked all the right questions. Our short time together was extremely beneficial and aided in me being able to move on with my life. Thanks Rashawnda! Rashawnda Carey has been an excellent counselor and somebody who has made me feel very much at ease since I started online counseling. She is someone I know I can trust and gives good advice without judgement. She asks the right questions that help to resolve problems from within myself. Rawshanda was so helpful and easy to talk to from the beginning. I was dealing with a traumatic situation and she really helped me through all the emotions. She gave me lots of mental exercises to practice and I gained so much perspective on my situation. I feel so much stronger and more grounded than I was before. I highly recommend Rawshanda! Rashawnda helped me to view my relationship with my husband differently, she brought possible feelings to light that I had not considered. She helped me. A very helpful, understanding lady. A real credit to her line of work. Rashawnda is a very nice and kind person. She truly listens and asks you good question in a very reassuring way. I really recommend her. She is incredibly patient and considerate and extremely helpful. She allows one to write out all their issues in a long stream but still will pick out the important bits and make useful comments. She also raises very useful questions which help to understand one's self better and come to some good resolutions. Rashawnda Carey, asks many questions and has a great analysis of situations. Very open, available when she says she will be, supportive and would highly recommend. For the short time that I've emailed Rashawnda Carey, she has been caring and knowledgeable about my situation. I like that she challenges me to think deeper into my situation. Our sessions have been very helpful so far. Rashawnda is very easy to talk to and open up to. She enables me to think on my own and come to conclusions or answers on my own terms. I highly recommend her. Very responsive and understanding. Gives a lot of good opinions, advice, suggestions and make me see things in a positive way. Highly recommended for young adults having depression and anxiety problems. Rashawnda is amazing. So patient and kind. She really helped me explore my emotions and learn to deal with them in a healthy way, and she also showed me how to communicate with my partner in a better way. Would you like to write a review for Rashawnda Carey? We'd appreciate if you can spend a couple of minutes to write a short review for Rashawnda Carey (BA, MSW, LCSW). This review would be shared with Rashawnda Carey. It may also be posted in our website or in Rashawnda Carey's profile but it would be anonymous and your identity would be kept completely confidential.